Angel’s Landing is a must do hike in Zion but go early to avoid crowds. The Draw: Bragging rights for overcoming your fear of heights! The Draw: Hiking through dense rainforest to a gorgeus crater lake. Cool things nearby: Stay in a glamping tent immersed in the rainforest at Essence Arenal and prepare delicious communal vegan meals on-site. Take a dip in the free hot springs. Related Blog: Best National Park In Costa Rica: Arenal or Monte Verde? The Draw: Epic fjord and mountain views. Cool things nearby: Camp at Kjørnes. Rock climb at Kvam. Location: Patterdale, Lake District U.K. Cool things nearby: Camp at Gillside Camping and Caravan Park Ullswater and start hike from your pitch. Start in Grindelwald. Take train to Alpinglen. Hike to Eigergletscher to Mettlenalp to Stalden to Wengen. Take train from Wengen to your next destination or back to your car in Grindelwald. The Draw: It’s Switzerland. Need we say more? Incredible towering rocks, lime green mountain sides, glaciers with falling avalanches breaking the silence, forests, and quaint towns filled with church steeples and flower boxes on every house window. Cool things nearby: If you like hikes, check out the 4 mile RT hike to Oeschinensee Lake that starts in Kandersteg. If you are an adrenaline junkie, try out one of the many adrenaline packed activities like paragliding and wingsuit flying. The Draw: A wooded walkway that meanders past 16 crystal clear turquoise lakes and dozens of cascading waterfalls. Tip: Go early for best lighting and less crowds. The Draw: A one of a kind experience walking between fishing villages filled with delicious food options and incredible cultural experiences. Cool things nearby: Florence & surrounding Tuscany area. The Draw: Hiking along the rugged coastline of Portugal. Walking along rolling sand dunes and poor fishing villages with views of waves breaking on the jagged rocks below. Cool things nearby: Uuummmm….you’re in Portugal. Go to Lisbon and surf Ericeira and Peniche, duh! The Draw: Following the golden seashells knowing you are on a journey of self exploration, even if it’s for less than a mile. That and sitting all by yourself on a secret cove in the middle of gorgeous Asturias. Cool things nearby: The FOOD!!! You haven’t eaten until you’ve eaten in Asturias. Yes, the apples are amazing, but so is ALL the food. There are epic surf breaks all along the northern coast of Spain and amazing hikes. You really can’t go wrong spending a week from San Sebastian to Galacia. The Draw: Waterfalls and rocks. Seriously, these are some jaw dropping waterfalls and rock formations that you’ve gotta see for yourself. Cool things nearby: Head over to Tuolumne Pass for great views, camping, and more incredible hikes. The Draw: Some serious ego boosting for being able to climb up Asgard Pass. But don’t let it all be about ego! There are some out-of-this-world alpine lakes that you will pass on the way that make the feet numbing descent down to Snow Lake Trailhead completely worthwhile. Cool things nearby: Head over to Icicle Creek Brewery for an IPA and Landjaeger. The Draw: Adrenaline pumping scrambling with some “hell ya” edges and gorgeous views of the turquoise sound below. Cool things nearby: Head over to Backcountry Brewery for beer and pizza after, then wake up early to rock climb at Chek Recreation Area before hiking to the exhilarating rope swing at Brom Lake. The Draw: Well, it takes scrambling up some steep loose scree, but the reward of standing up above Lake Louise and Lake Agnes are totally worth it. Plus, you get to hike past two tea houses and up to a gorgeous glacier if you do the whole loop (see related blog). Cool things nearby: Head to Canmore for good breweries and delicious French pastries. While you are there, hike to the oh so steep East End of Rundle for more epic views. The Draw: A reason to carry bear spray. Plus, wonderful views of alpine lakes with very little effort. Bring mosquito repellent! Cool things nearby: Head to Canmore for good breweries and delicious French pastries. While you are there, hike to the oh-so-steep “East End of Rundle” for more epic views. The Draw: Idaho…it’s on a league of it’s own. These mountains deserve so much more cred than they get. Few crowds and enough back country trails to need a gps, why wouldn’t you want to spend a few nights escaping to this mountain haven?! Cool things nearby: Trails, trails, and more trails throughout the Sawtooth Range. And when you get tired of hiking, there is always a hot spring nearby for those aching muscles. Cool things nearby: Grab a mountain bike and head to Teton Pass for some intense riding or go all the way to Grand Targhee and ride up to some jaw dropping views of the backside of the Tetons. Then head into Jackson Hole for some grub. Elevation Gain: it’s pretty much all downhill baby! 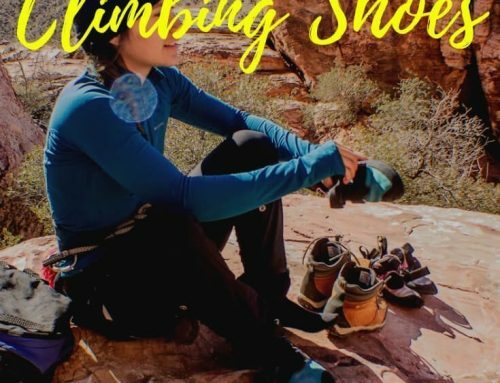 The Draw: Rapelling, swimming though ice cold pools of water, worrying about flash floods, hiking an insanely cool canyon floor, a log sitting diagonal against a rock… what’s not to love about it?! Cool things nearby: Bring supplies and be ready to just chill off-grid for awhile. And if you have trouble sitting still like us, bring mountain bikes and hit the trails. The Draw: Epic views of mountains and picturesque ski villages. 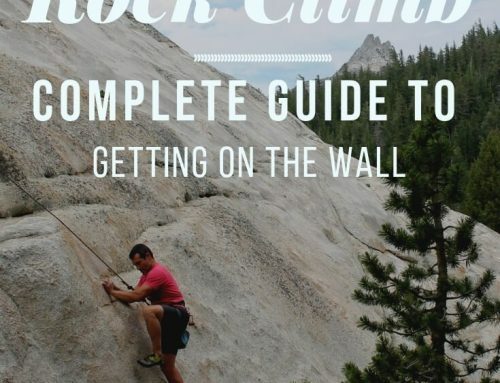 Cool things nearby: So much rock climbing in Spain! The Draw: It’s the fall colors and the abundance of amazing food in the cutest towns that draw us back to the Pyrenees. It’s like geting a huge hug from nature while still keeping the senses overloaded with beauty. Cool things nearby: Find a local farmer who sells fromage. Then head to the local baker for bread and you’re good to go. The Draw: Feeling lost without being lost. 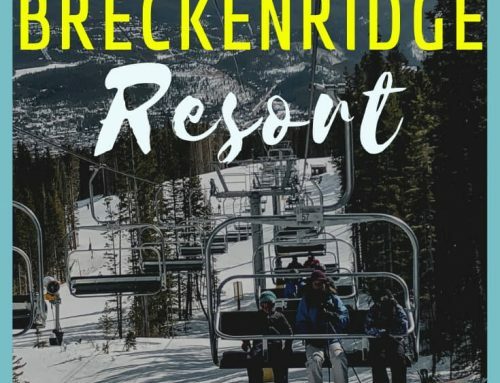 Huge mountains that make you feel like you are lost in the backcountry until you hike a few hours to a secluded ski resort with great food and drinks. Cool things nearby: Stay in the town of Ribes De Fraser for a cultural experience you will not forget (nor regret). This is like the Idaho of Spain, but with incredible food! The Draw: Exposed ridges with ocean views. Cool things nearby: Surf Chuns, get poke at foodland, and run into Kelly Slater on an early morning surf check…day complete. The Draw: Feel like you’re in a real life middle earth filled with an active volcano, vivid lakes of green and blue, and hike along exposed ridges. Cool things nearby: Surf the famously perfect wave, Raglan. Camp below a glacier at Mount Cook. Hike above alpine lakes in Wanaka. What’s your favorite day hike in the world? Let us know in the comments below! I’d have to say Mayflower Gulch near Leadville CO. It’s not very long, but has a special place in my heart! and tge views are so beautiful! That’s right by us (we’re in Frisco, CO)!! We haven’t done that one yet, we’ll have to go check it out! Not as exotic as your list, but our favourite day hike are the trails through my parents forest where I grew up. Definitely my happy place . That’s so cool that you grew up in a forest though. I grew up in a SoCal and there are very few trees. Now that we are living in Colorado, I love that I can escape to a trail in 5 minutes. It’s gotta be great as a kid to have a place like that where you feel so at peace. Thanks for sharing! Yesss, we loved the S Kaibab trail! Such a stunning place! Agreed, if only the Enchantments backpacking permits were easier to get! Maple Pass loop is another favorite of ours! The mountains up there are insane! I’ve done the Cemin de la mature hike a couple of times now, and it is by far my favorite hike on this list. Beautiful if you go during the late fall. It’s such sick hike! We were there in late fall too and the colors were amazing! What a great feeling! And it’s only going to get better. My kids are my bffs and we are always scheming our next adventure together. Thanks for the recommendation. We haven’t made it to the east coast yet, but hopefully next fall. We’ll def check that one out. Thanks! Yesss! That hike is so darn cool! One of my absolute favorite day hikes is Mt. Dickerman in Washington not only for how difficult and rewarding the hike is, but because my boyfriend and I hiked it together. The second time, he proposed at the summit!! Awww! That’s so sweet. We’ll add Mt Dickerman to our bucket. Thanks! My fav bike all time was Stanley Park in Vancouver. Over 10 miles! I have only hiked in Norther California. Loved hiking at Yosemite. Hiking around Lake Tahoe is incredible, too. I am blessed to have these beautiful areas so close to where I live. Yes you are 🙂 We hiked a great spot in Tahoe this summer but I can’t remember the name. Gorgeous mountains though! Made two treks across Philmont Scout Ranch. One of the most powerful experiences I’ve ever had. Felt truly small in the world. Saw the true night sky for the first time in my life. That sounds like an amazing experience! We haven’t made it there yet but it sounds like we need to! I have been to lake Louise, Alice lake. I like grouse grind too! You can never go wrong with alpine lakes 🙂 Haven’t done Grouse Grind, we’ll have to add that one to our bucket list! My favourite hike I’ve done so far is Crest Mountain on Vancouver Island. Every hike I’ve done on Vancouver Island has been incredible though. Awesome! We visited Vancouver Island a while back but I was amazed by the unique ecosystem there! Angel’s landing is absolutely mind blowing. Tons more hikes nearby in Zion National Park. Check out my insta @bfbaril for a few more shots if it’s a destination you’re planning on visiting. Awesome, we’ll check it out! I’ve heard that there are so many sick hikes outside the Park, gonna have to go explore those soon! Want to do Angels Landing. Hope to find a time of year it’s not crowded. Yes, you gotta do it! It’s a one of a kind experience 🙂 March is a great time to visit for the crowds and weather! Best day hike recently was Mesa Verde NP, Spruce Canyon loop. Half of it was a trail at the canyon bottom through tree and brush and the other half was along the cliffs to view the petroglyphs. Very light crowds and great views. Hiking with my parents in my native Scotland was the best for me. It wasn’t so much the place, a small local place that I’d rather keep secret, lest it be overrun by instagrammers, as the company. We live in different countries and rarely see each other! My favorite hike of all time was one that I did in Hawaii on the road to Hana in Maui. It led to a red sand beach! Oh that sounds wonderful. We’re hoping to get there this winter. Thanks! Id love to do the new Zealand hike! Yessss, we just finished backpacking it a few days ago!!! I have travelled A LOT; been very blessed to have all the opportunities I have had. But the most amazing hike I have ever done was the Laugavegur and Fimmvörðuháls Trek in Iceland; it was 6 days of the bliss and beauty! That sounds AMAZING! We haven’t been to Iceland yet but we hope to get there soon, I hear it’s epic! What an amazing list! Cinque Terre is on my bucket list. May have to add a few of these. That hike is a true one of a kind! There are some beautiful day hikes in Arizona! 7 Falls in Sabino Canyon! I did Cinque Terre a LONG time ago on a whim and I was totally unprepared but loved it so much. This is a great list! Yes isn’t it amazing! Glad you enjoyed this post! One of the best day hikes that I’ve done was the Green Gardens hike in Gros Morne National Park in Newfoundland. Such an amazing hike with different terrain, animals, ocean views and waterfalls. Definitely a must to anyone who wants to experience something magical. 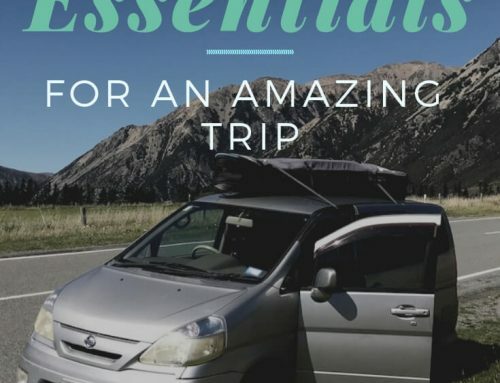 Anything in the south island New Zealand is amazing! Best day hike I have ever done was up Joffre Mountain in B.C. Canada. The combination of the fantastic views and spending the day with my best friend that lives on the other side of the country from me made it unbeatable. Hard to pick one. Most recently I did a very physically and mentally challenging day in the Cdn Rockies in an event called Meet the Minotaur. 17km 7 hours in the mountains 8000ft of elevation. Hardest peaks and passes I have ever travelled. Best hike ever was through the Sangre de Christo mountain range in 2012. North Crestone lake is beautiful! Sounds beautiful! I’ve never heard of that hike but I just looked it up and WOW I need to hike that! So many great places….where to start? I haven’t done as much hiking but Hawksbill Crag in Arkansas has been my favorite so far. Thank you for compiling this list. I’m making my own list for new adventures for me and my son in the very near future. We hiked the length of Hadrian’s Wall Path and it’s one of the coolest things we’ve done. They say 84 miles, but my Garmin watch told me I walked 130! By the end of it we were pretty conversant in the local dialects of sheep. Haha that’s so awesome! I remember seeing that path when we were hiking in the UK, It looked like a great hike! Fossil springs in AZ. Water was the perfect temperature and clear. A ways down there is a waterfall too! That sounds awesome! Haven’t done that one but we’ll have to check it out! This is such bucket list inspo! I read in the comments that you haven’t done the east coast yet – definitely come to Grandfather Mountain in Boone, NC! It was my first hike that didn’t just have a trail – there’s ladders and cables to climb up rock slopes and I love it. Thanks! We totally need make it over there! Climbing, cables, and ladders…sounds like our type of hike! I’ve only ever hiked the trail in Ontario, in particular in the Niagara region. Some very enjoyable locations! Cool! We haven’t made it to Ontario yet but I hear it’s beautiful! Bass Creek overlook Bitterroot Mountains outside of Florence Montana. It is a hard hike but soooo worth it at the top!!!! My favorite hike so far was the Flume at Franconia Notch State Park. Its just incredible to see! We have trips planned to Norway, Scotland, and Iceland over the next few years. I cant wait to see what I can hike there! My favourite hike was going through the woods in New York State close to the Algonquin mountain. Recently I did 5.5 miles along the Niagara River gorge up to the falls. It was a lot of steps and oddly quite (almost no people) until I reached the falls. That was amazing. I really want to take a through hike on the Superior Trail starting near Duluth. Wow. There have been some inspirational hikes done based on reading everyone’s comments. While my hikes are more nature trail hikes, they are still memorable having done them with my two boys. Western New York State has many really cool trails to hike in parks and the like. My last hike with my boys was in Akron State Park. Checking out the falls during the hike was a highlight! What a great list! I also loved hiking in Spain, will have to add these to my map! My favorite hike was Seven Falls (Sabino Canyon) in Tucson, AZ. Beautiful scenery and saw a lot of desert wildlife too. I lived there as a kid but I’m not sure if we did that one. I’ll have to check it out on one of our road trips. Thanks for sharing. Best hike was walking through the ruins and then climbing to the top of Coba in Mexico. A hot, exhausting but worth every drop of sweat hike! Oh that sounds like so much fun! I love a challenge 🙂 Thanks for sharing it. We really want to see Acadia! I’ll have to add that hike to our bucket list. Thank you for your list! 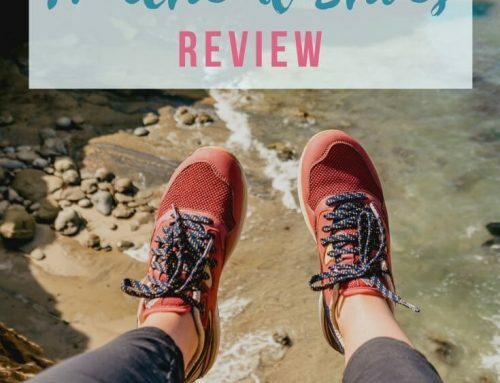 I loved reading it and I’m adding some of them to our list 🙂 My hubby and I have 2 girls ages 11 and 13, and we love to hike. We’ve done Cinque Terre (one of my all time favorites), some of the Lake Louise (and Banff) hikes you mentioned, Yosemite, Rocky Mtn NP trails and hiked in the French Alps (from Chamonix) among others. We recently did the Mullaghmore Trail in the Burrens in Ireland which was an easy but incredible hike. Living in the Eastcoast, we LOVE Precipice Trail in Acadia NP, and Mount Katahdin (including the Knife Edge) both in Maine and various trails in the High Peaks region in the Adirondacks (NY).